We stay in some fantastic locations in both Corsica and Sardinia, enjoying 3 and 4* hotels throughout, with pools and spa facilities at most. We sample coastal life in Calvi, Corsica, overlooking the medieval citadel from our beachfront hotel, and spend the evenings relaxing at lake-side hotels in the mountainous interior of Sardinia. We’ve chosen hotels that offer a high standard of accommodation and facilities, allowing you to rest and recover, ready for the following day’s ride. In addition to this, they all have practical facilities such as safe and secure bike storage and easily accessible rooms that travelling cyclists desire. Whilst similar in many ways, the two islands’ culinary offerings couldn’t be more different. Those who are fond of charcuterie and cheese (the heavier and the stronger the better!) will love the traditional Corsican fayre – think baton-shaped, air-dried wild boar sausages hanging from strings, and cheese so strong it’ll make your eyes water! With its vast coastline, Corsica also has access to some incredible seafood, which you can find on most menus, either inland or on the coast. Corsicans are also keen on hearty stews (wild boar, obviously), red wine, and all things rich and flavoursome. You’re sure to leave the dinner table satisfied, that’s for sure. With its Italian heritage, Sardinia is blessed with a wide range of choices come mealtimes, with an equal variety of seafood, meat and pasta on offer. Traditional dishes include the tiny, shell-like pasta Maloreddu, suckling pig basted in wild flower honey, and spaghetti with clams. Vegetarians and vegans will enjoy the Italian menus of Sardinia for their pastas, vegetables and pizzas, and the French-inspired Corsican menus for their vegetarian takes on the French classics. Ok, where to start. 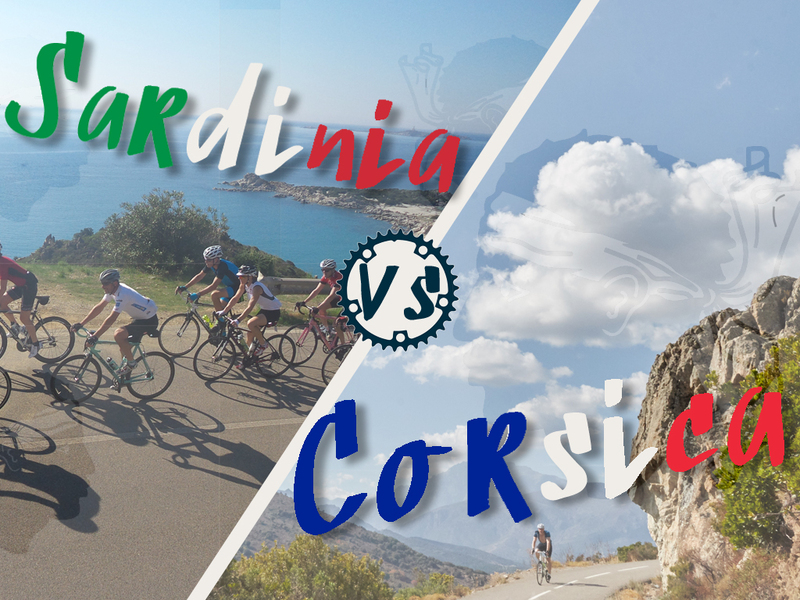 Corsica and Sardinia both have a rich history of invasions, occupation, crusades and change, the effects of which can still be seen and felt today. Certainly one major outcome of the islands’ history are the strong identities that each have taken on. 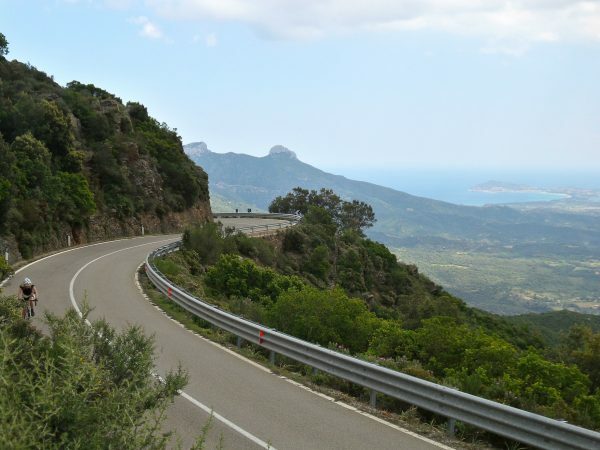 Whilst technically a region of France, Corsicans definitely don’t see themselves as ‘French’ – just look at any road sign in the interior of the island and you’ll see that the locals have either scratched out or shot through the French translations of place names with their hunting rifles. You may see graffiti by FLNC (The National Liberation Front of Corsica) on transistor boxes and derelict mountain ruins all over the islands – a clear sign of the nationalist movement. Just like its smaller cousin, Sardinia has a historic reputation of banditry and mafia, going way back to the Roman era. Over the years things have evolved and changed somewhat, but there are still suggestions of corruption and political collusion to this day, mainly in relation to finance, but let’s not go there! From the roadside you’ll see stone towers dotted all over the Sardinian countryside – these megalithic stone structures are called Nuraghe and date from the 18th century BC and have become a symbol of the island’s identity with over 7000 being discovered thus far. Nowadays life on the islands is totally safe, with both relying so heavily on the incoming tourist trade; the islands are keen to show their welcoming sides. As a tourist you’ll encounter nothing but smiles (and often times applause as you ride slowly past the elderly gentlemen sat playing dominos at the side of the road) – gone are the days of hostility. Think nothing of being out in the wilds all day on your bike, you’re perfectly safe! So, whichever island you choose to visit, (or perhaps both? We do offer a back-to-back trip discount, and the ferry between the two islands only takes 40 minutes!) we’re sure you’ll have an amazing time on two wheels. We hope these blogs have helped you decide which is for you, but by all means contact us in the office for any further information.